Mizuma Gallery is proud to announce our representation of Singaporean artist, Zen Teh. Mizuma Gallery (MG): When did you first start taking photographs? Zen Teh graduated with a Bachelor of Fine Arts, majoring in Photography and Digital Imaging from Art, Design, Media, Nanyang Technological University, Singapore. Aside from her artistic practise, Zen serves as a visual arts educator at School of the Arts (SOTA), in the Media Arts Department. 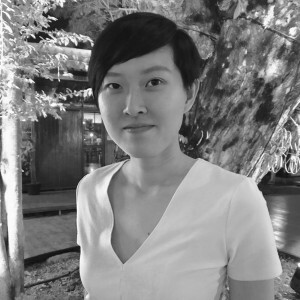 Her solo exhibitions include Vestiges: Tracing Urban-nature, Alliance Française de Singapour, Singapore (2017), and Sensing States: Healing Spaces, Art Science Museum, Singapore (2015). Zen has also exhibited regionally in Thailand, Taiwan and, China, as well as participated as an invited guest speaker at regional environmental conferences such as ASEAN Powershift 2015 and Hanoi Innovation Week 2016 on Sustainability. She has also been awarded the winning title for the 7th France+Singapore Photographic Arts Award. Zen lives and works in Singapore. Mizuma Conversations | Zen TehMizuma Conversations | Ohata Shintaro on "Resonate"